While there are many materials available for use as countertops, there are none that compare to the natural beauty and practicality of granite. 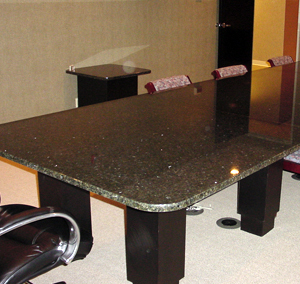 Granite counter tops will give a greater return on investment than just about anything you can do to your house. Carpet, paint, wood-work, appliances, hardwood floors, etc. will all show the effects of time and wear. Granite countertops will maintain their beauty year after year. Granite doesn't wear, scratch, or suffer the effects of UV rays, heat or cold like man made counter top materials will. 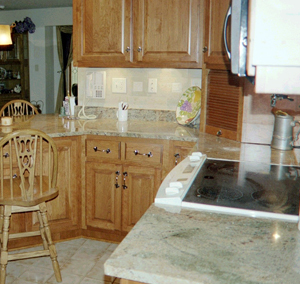 Granite tops will look as good in ten, twenty, thirty or forty years as they do the day they're installed. 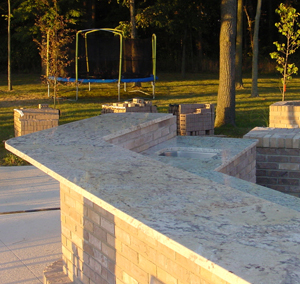 Granite by Design serves Indianapolis and surrounding areas, including Anderson, Bloomington, and Lafayette. We'd love to hear from you. Feel free to contact us, or submit a request for a quote. © 2013 Granite by Design. All rights reserved.